The first ever contest allowing members of the public to NameExoWorlds begins its first round, offering the registered clubs and non-profit organisations, including UKSEDS, the chance to nominate their favourite systems to take through to the next rounds. 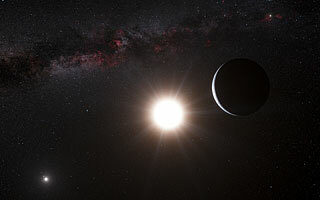 The International Astronomical Union (IAU) is organising a worldwide contest to give popular names to selected exoplanets along with their host stars, among a list of hundreds of well-characterised exoplanets it has offered for public naming. The first round of the competition allows organisations such as UKSEDS to nominate up to 20 ExoWorlds (exoplanetary systems and their host stars) to be made available for the next stage of the contest, where names can be proposed for the most popular ExoWorlds.